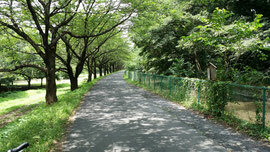 After 5 minutes by Shuttle from JR Toro Station, you get to Omiya Citizen Forest. Minuma Waterway, which come far from Tone River , flows along western side of the park and Shiba River on the east side flows to Tokyo Bay via Arakawa River. 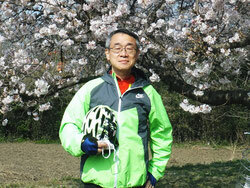 The bike tour starts from this park through Minuma Farmland. Minuma Farmland was developed in the 18th century by order of Tokugawa Shogunate. Bado Family had engaged in patrol for Minuma Watercourse for irrigation and been in charge of a head of the area. You can find there the farmer's living style in old days of a few hundred years ago. On the east side of Minuma Farmland, Minuma Watercourse Eastern Edge flows down and Green Healthy Road runs along the watercourse. Hundreds of cherry trees were planted along the watercourse. 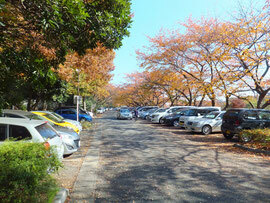 Because of rich foliage, you can hear many birds' songs even in winter season. 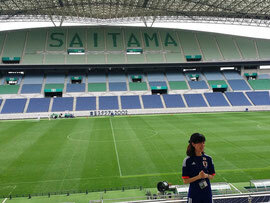 Once one or two times a month, Saitama Stadium 2002 offers a stadium tour of their facilities where normally only limited people like game players, special guests, and stadium staff are allowed to enter. For Tokyo Olympic in 2020, this stadium is used for its football games. 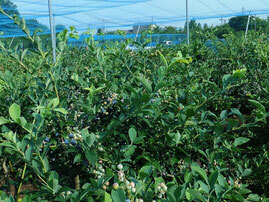 At "Blueberry Plaza Urawa", the field near the Eastern Edge, picking blueberry can be enjoyed from early June to early September at Yen 500 per person. Near this field, at "Fruits Park Urawa Union" picking grape can be enjoyed from early August to Mid. September at Yen 900 to 1,500 per kg. By passing Shiba River and running through Minuma Farmland, you see Minuma Watercourse Western Edge near Minuma Hikawa Park. 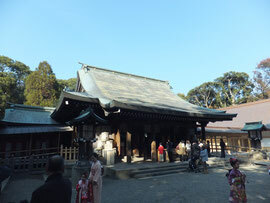 At some higher place next to the Western Edge, there is Hikawa Female Shrine. 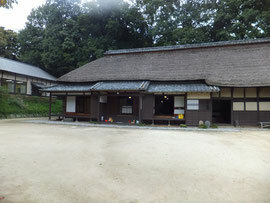 After this visiting, you are heading to Hikawa (Male) Shrine along with the Western Edge. 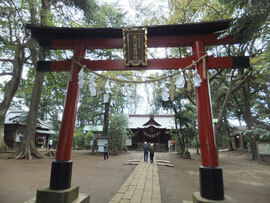 There are three shrine gates along approach to the main hall of Hikawa Shine. The 2nd Torii gate is the largest wooden torii in the Kanto region. 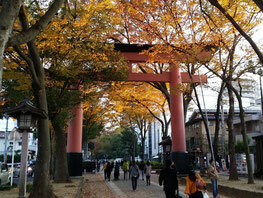 Our course goes under 2nd and 3rd Torii gate from which the area is grounds of Hikawa Shrine. Let's walk and push your bike as etiquette once you pass the 3rd shrine gate. Among the many Hikawa Shrines scattered throughout the greater Tokyo area, the one in Omiya has a special stature and a history extending back more than 2,000 years. The vermillion-painted sacred bridge and tower gate are beautiful sights. Due to significant disaster of Tokyo caused by Great Kanto Earthquake happened in 1923, craftsmen of Bonsai decided to move from Tokyo to Omiya and the town of their relocation has been called Bonsai Village. The museum was newly opened in 2010 in the village. 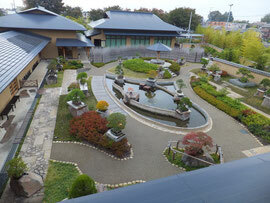 There are 6 Bonsai gardens in the village. You may see the Bonsai craftsmen work on daily care in the gardens. 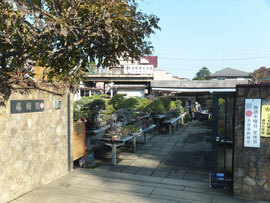 Some of Bonsai with no price tag are very expensive. You are not allowed to touch them since they are arts! You can also find tiny, but cute ones at around Yen 1,000.